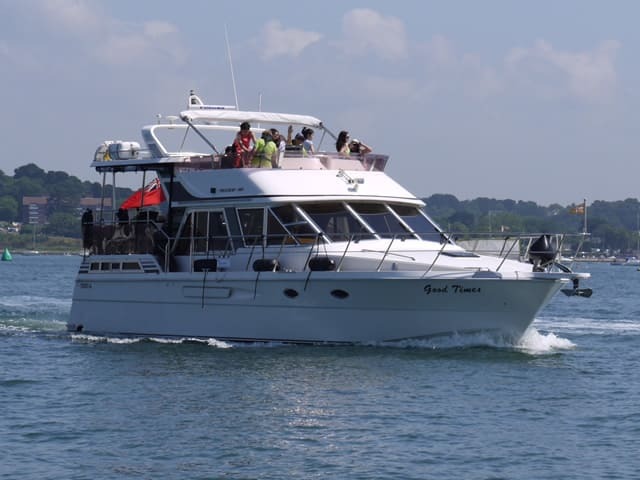 Good Times is a President Motorboat available for skippered charters vessel with a crew. 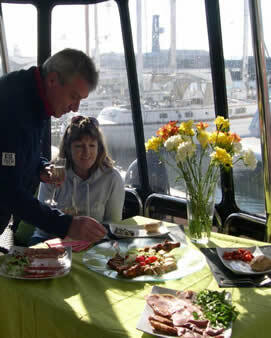 Hen & stag parties, evening cruises, ash scattering, birthdays and can also be chartered just for the half day. She is 50ft in length and is ideal for charter as she has a superb aft deck which can be fully opened to enjoy the sunshine or be fully enclosed if necessary. As well as the seating on the aft deck, there is ample seating on the large flybridge for passengers to sit out or sunbathe, giving fantastic panoramic views. There is also a paddleboard and Kayak onboard for the more active day trippers.